The Chianti is a Tuscan area renowned all over the world for its famous wine. The Chianti region spreads in the provinces of Florence and Siena and is the ideal place for a relaxing holiday in the green vineyards and olive groves that characterize its landscape, at the discovery of the many lesser-known villages of Medieval origin rich in history and monuments dotting the Chianti countryside. 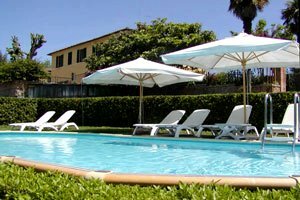 Florenceholidays.com offers a wide choice of villas for rent for holidays in Tuscany and in the Chianti region - country villas, elegant apartments in villas, luxury villas with private swimming pool, castles in panoramic position and farm holiday apartments. 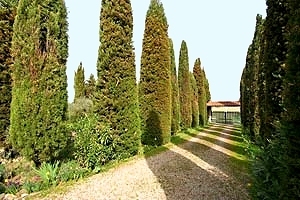 Renting a villa in the Chianti region is the best way to visit this part of Tuscany. 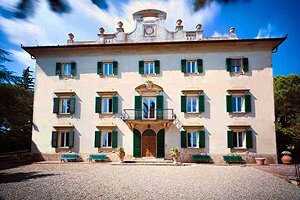 Choose the accommodation for your next vacation in the Chianti region among our Chianti villas . 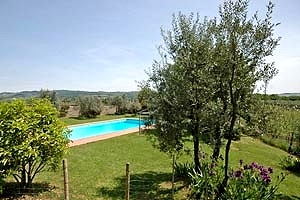 Villa with swimming pool for rent near Siena for holidays in Tuscany. 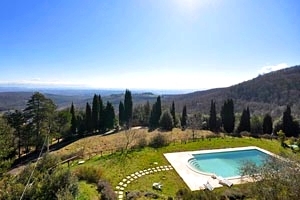 Villa with accommodation for 4/6 people, panoramic view on Siena. 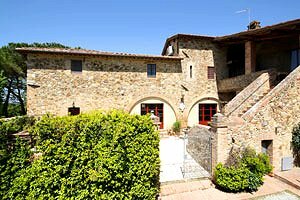 Elegant 18th villa sleeping 11+3 divided into three apartments in Monteriggioni (Siena), in Chianti, close to Valdelsa. Wide garden, swimming pool, Internet connection, air conditioning. Riding stable, tennis courts and golf club nearby. 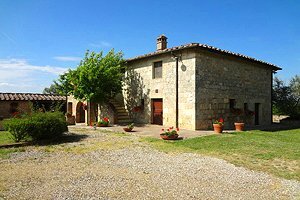 Small villa sleeping 6 a few kilometres from San Gimignano (Siena), in the Chianti region. Internet connection, swimming pool. 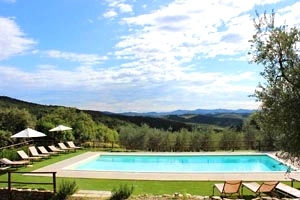 Luxury villa for rent in Staggia Senese, near Monteriggioni (Siena), in Valdelsa. Sleeps 14, swimming pool, wide garden, Internet connection, air conditioning. 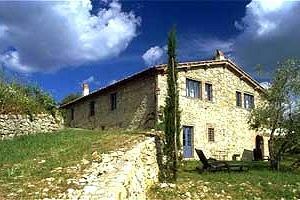 Beautiful villa sleeping 8 near Gaiole in Chianti (Siena), in the Chianti Classico region. Heatable swimming pool, air conditioning, Internet connection, Finnish sauna. Possibility of organising well-being itineraries, cooking lessons and wine tasting events. Breathtaking panorama, utmost peace and privacy.